Surely the official Kentucky Mens Basketball twitter is not trolling its own fan base!? 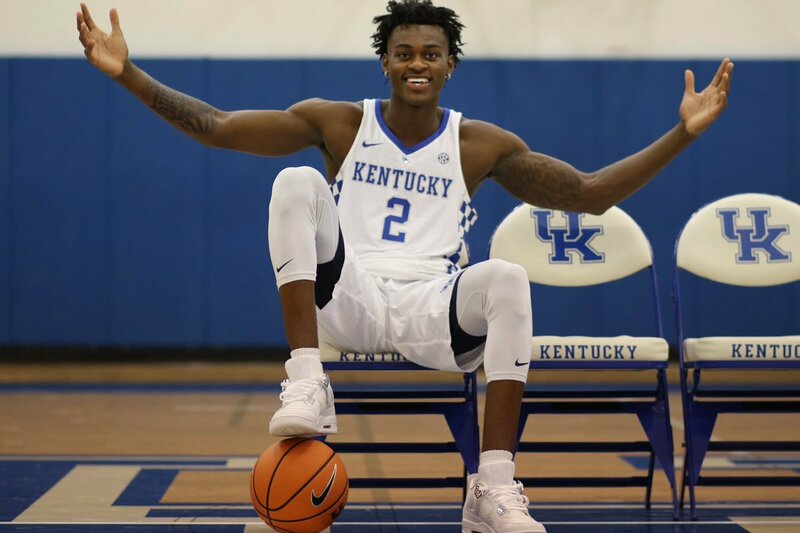 But a cryptic midnight tweet featuring Jarred Vanderbilt’s photo has everyone buzzing. After 3 great wins adding Vanderbilt to the mix could really catapult the Cats as we get into the bulk of conference play. Many have speculated this week that Vandy was simply prepping for draft work outs and would never play a game here. Hopefully he plays tomorrow in Knoxville and we take a major step to #9. But with no reported practice time I would be blown away if Jarred sees his first game action during a tough road environment. Reading way too much into this. It’s a set schedule of graphics we do every year. Jemarl Baker, also recovering from an injury, appeared on one a few games ago.